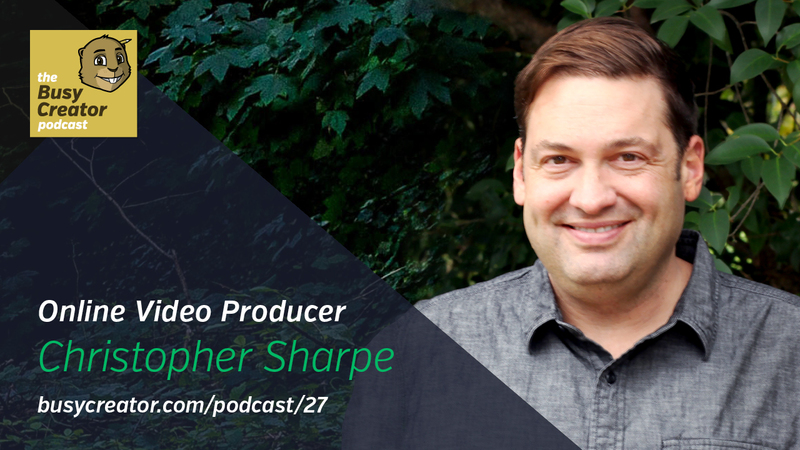 Christopher Sharpe (@csharpe)is a writer, director, designer, blogger, and builder of internet things. Following an early career in traditional filmmaking, he’s currently the producer of two popular online video shows, Yoga With Adriene and Hilah Cooking. Our conversation focuses on the nuts and bolts of producing video with a limited crew, as well as the inevitable drama that comes from working full-time in online video. Christopher’s work can be seen on his website, ChristopherSharpe.com, and you can see check out his book, YouTube Black Book. Listen to the episode below and click through for examples of Chris’s video series. Chris started with the traditional filmmaking route. Short films and commercials. Are commercials an art form? Get into “The Zone” early in the day. Writing and creative planning.